Arthur is a very talented chef at a five star restaurant. Every week he comes up with new recipes idea and the customers just love it. His secret recipe for this week is going to be chickpea curry and he could use your help to make it perfect. 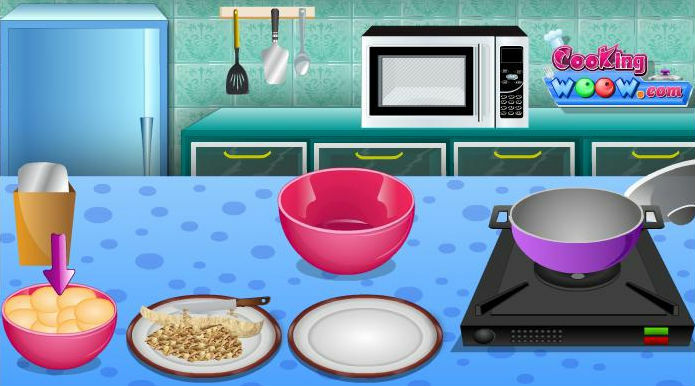 Prepare the ingredients on table, then mix it and cook it according to Arthur\'s instructions. Is very easy, just follow his lead. Good luck!